After days of rumors, Rampage Jackson vs. Thiago Silva is officially off of UFC 130: Edgar vs. Maynard 3. With Silva out, former TUF alumni Matt Hamill will now fight Jackson on May 28. Rampage Jackson vs. Matt Hamill while easier on paper for Rampage now puts him in a no-win, all-lose situation. Several MMA journalists speculated last week that Thiago Silva’s urine sample for his fight at UFC 125 came back dirty. It was then reported that the UFC was ready with Jackson vs. Evans 2 as the backup. It even got to the point where Vegas books opened up odds on the fight, although it was never officially announced. The UFC finally ended all rumors and speculation by announcing Hamill vs. Jackson on Friday taking a proactive step in the event (likely) that Silva’s B sample failed which would result in a suspension for Thiago Silva of up to one year. Well the air was certainly taken out of the balloon with this announcement after 24 hours of excitement about a Rampage vs. Rashad rematch. Dave Meltzer at F4Wonline.com reported that Jackson and Evans recently had an altercation in Vegas which saw the two be pulled apart. Their previous fight sold over one million buys after months of buildup on The Ultimate Fighter season 10. While the fight didn’t deliver near the excitement their interviews did leading up to the fight, all indications were that fans were pumped for a rematch. Matt Hamill is a really interesting choice and a dangerous one if you ask me for Rampage Jackson. Hamill is coming off the biggest win of his career defeating his former coach Tito Ortiz at UFC 121. 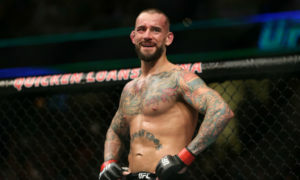 Hamill is on a five-fight win streak which includes a controversial disqualification win over Jon Bones Jones after Jones dropped an illegal elbow. Don’t be fooled by the win in the win/loss record. Jones was dominating the fight before it was stopped. Hamill’s last loss came at UFC 88 against Rich Franklin via TKO in round 3. A quick glance at this fight looks like an easy win for Rampage Jackson. Hamill doesn’t have the quickness that usually gives Jackson trouble. Yet a deeper look into the fight will tell you a different story. Jackson’s win over Lyoto Machida made him the number one contender for the UFC light heavyweight title. 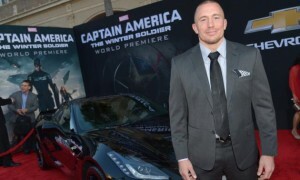 He turned down the title shot at UFC 128 deeming a lack of training time as the issue. “I turned down the fight cause of short notice,I would have 2 lose 45 lbs n 4 weeks,u would have 2 be a fighter 2 understand,life goes on ” – Jackson’s Twitter. A win over Matt Hamill really doesn’t do a whole lot for Jackson whereas a win over Thiago Silva would have been huge. A loss to Matt Hamill could be karma for Jackson who turned down a title shot and would now be put behind Matt Hamill for any future title opportunities at 205. Believe it or not, the underdog generally fares better in these situations. A few examples would be Forrest Griffin replacing Mark Coleman vs. Tito Ortiz and Rich Franklin replacing Tito Ortiz vs. Chuck Liddell. The difference in those fights is that the skill level of the replacement was greater than the previous opponent. I am sure we could go back and forth on this by looking at the history of UFC replacements. Point being, nothing is a given here and being a substitute may work in Hamill’s favor. UFC 130 is over three months away which gives both fighters plenty of time to train and prepare. Jackson’s attitude on Twitter when asked about the fight could really hurt him come fight night. Matt Hamill is not nearly as exciting as Thiago Silva but if Jackson doesn’t take him seriously or fully commit to training, he could be in for a long night.